What a great start to the New Year! At All Seasons Adventures, we had the pleasure of putting together a fantastic event for the Columbia Sportswear company on. In town to release their outfits for the U.S.A, Canadian and Russian Olympic freestyle teams, Columbia was in search for some fun activities for their team. All Seasons customized an ultra unique, fun and competitive event taking place on a private ranch, 10 minutes outside of town. The morning of, 16 teams consisting of Columbia’s top bloggers, reviewers and professional adventurers were informed that they would be competing for their spot on a 10 day backing packing trip in the country of Jordan, no joke! With that being said, I hope All Seasons doesn’t lose any guides to Columbia. The competition was a huge success, with teams racing via dog sled, snowmobile and snowshoes. There was no shortage of energy or excitement with a tough timeline and hundreds of points on the line. 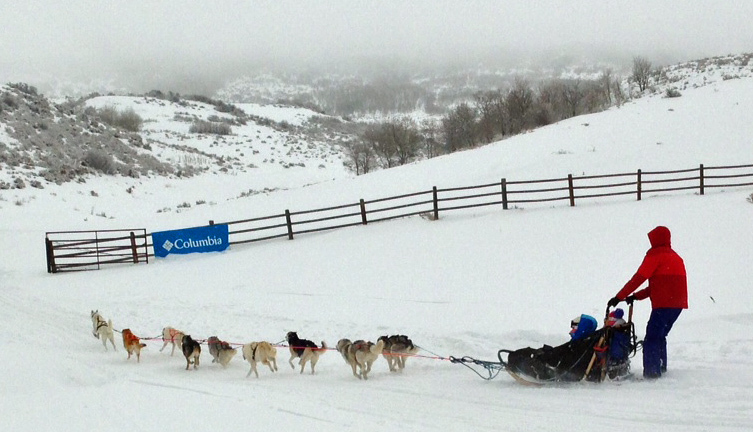 With blizzard like conditions, Columbia apparel was put to the test and passed with flying colors! 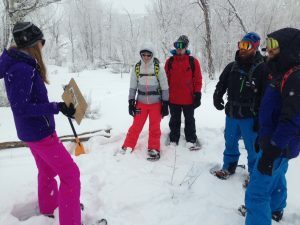 From the omni-tech base layers to shells, our newly outfitted guides and competitors never ran for shelter, enduring hours of whipping wind and snow. So thank you, Columbia and Becore for helping make this such a great success!